Are you looking for a child psychologist in Bhopal? If YES then your decision is great and you are one of the best parents who care mental health of their kids. 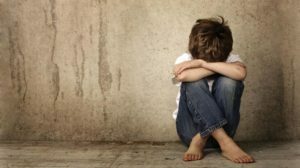 But, keep in mind that it’s your responsibility to ensure that you choose the top child psychiatrist in Bhopal. You should definitely try to make sure of getting in touch with an experienced and one of the best psychologists to take care of mental health of your kids. If you are able to get in touch with the perfect child psychologist it would definitely make it possible to stay your kid tensed free. There are many parents who are not aware of kid’s mental health and they have no idea on how to take mental health of their kids good. The fact is, parents should take care mental health of kids just like they take care physical health. Look at their portfolio: While you book an appointment or just visiting the psychologist clinic, before that check his/her portfolio. Make sure he/she is talented, professional and has years of experience in psychology. So you have to take good steps in finding the best idea about their services that would definitely lead to your satisfaction. Check for different services: It is important for you to ensure that the psychologist you want to visit offers complete mental health services and therapy. Whether you suffer from depression, stress, anxiety, OCD, schizophrenia, drug addiction or any other serious mental illness he/she can make sure he/she can diagnose and treat it effectively. Check Patients Reviews – It is true that reviews say it all about any service provider/ product. If you want to visit a child psychiatrist in Bhopal then check customers feedback as many are available. Visit Google business page, Jusdial, Practo or any other review site to make sure the psychologist you are visiting it recommended by many. Book an appointment in advance: Make sure of booking your consultation in the right manner that would really help in fulfilling all your expectations. It is mandatory to book an appointment before 7-8 days normally. Sometimes it can be booked before 15 days to make sure you get it at the right time. Dr. Satyakant Trivedi treats adults, kids and old aged men and women also in Bhopal, Ujjain, Sehore, Raisen, Mandideep, Vidisha, Obedullaganj, Sagar, Bina, Itarsi, Rajgarh, Hoshangabad, Pipariya, Jabalpur, Rewa, katni, Damoh, Narsinghpur, Narsingarh etc.